The traditional tattoo ceremony, tatau, is called kakau in Hawaiian language. In ancient Hawaii, tattoo was a rite of passage. Ritual ceremony performed at certain times in one’s life and journey. Everybody ought to know tattoo is more than a body marking. Tattoo would tell the story. Generational stories of trade, like a healer or a fisherman. Family Stories. Districts or moku one belonged to based on marking. By wearing these certain marks you would be carrying the genealogy and the history of your family. Sometimes, those stories could be very heavy. Auntie Mahi, one of my kumu, was a master genealogist. She told me our Naluai women never got tattooed. Their responsibility was to care for the children of the chiefs, the ali’i. The reasoning: if they were tattooed, the entity or the image of the tattoo could jump onto the child and put the child in danger. When I met Auntie, I already had a tattoo. It was a symbol of two dolphin. One was a little bit more masculine. One of them was a little bit more feminine. I got the tattoo to commemorate a rite of passage. 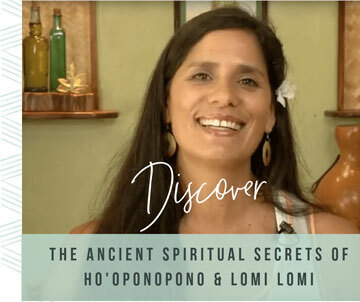 I had just completed my advanced Lomi training at Auntie Margaret’s house on Big Island. While I was there, I had an experience swimming with the dolphin at Napupu. For me, the tattoo told my Lomi Lomi story. The whole time, the womb wouldn’t open. I went from eight and a half centimeters and my cervix was closing to five centimeters by the time I got to the hospital. When I got to the hospital, they did some procedures to help the baby come. The whole time I’m thinking, “Auntie, you said you’d be there. Auntie, you said you’d be there,“ Of course, when I come out of the elevator I’m right in front of the room where she passed away. Then I realized, “Ah, I had to wait until I got to the hospital for you to help me.” I really felt her there in those moments and I gave birth to a beautiful, healthy baby boy. Since then, I’ve had three more children. Thank you Auntie! Recently, I had a client complaining of pain in his forearm. Right away, I notice he is heavily tattooed on his forearms. There was a thick black band that went all the way around. No opening. No flow. As I was working on him, I asked how it happened that his arm was hurting. He was a landscaper does a lot of pulling lifting. I know that if something’s manifesting physically, generally there is a spiritual component as well. When I asked about the black band tattoo, he shared it was a cover up. “Well, what did you cover up?” I asked. “Oh, it was a symbol I got at the same time with girlfriend, now ex-girlfriend. After we broke up, and I married my wife, she would make a lot of jabbing jealous comments towards it. I just covered up to stop hearing those comments. Since that time, I’ve divorced and just had a series of short, kind of turbulent relationships. I really want to clear this up.” I made some suggestions about ways to open that tattoo up and create more flow. He also had was an arrow that was only pointing one direction. The forearms are about giving or sometimes over-giving. Forearms are about what we’re willing to let go of and asking for support. Sometimes people have tattoos as a shrine to their suffering, sorrow and pain. Just as our thoughts carry energy, ink markings also carry energy. Images are just the same as writing it out, giving energy and mana to the story. Use your tattoo to tell a positive story. I have a friend who had surgery and the scars were really visible underneath her breast area. After her husband died, she was really embarrassed to have to explain to new partners where they came from. Also the relationship she had been in had been very, very challenging, especially in the last days of care-taking. She was wondering how to open her heart again. She chose tattoos of beautiful giant open lotus blossoms. They held up her heart and her breast areas. For her, it was a way of putting on an energy towards heart opening for the next love of her life and also a way of covering up these scars underneath. A symbol of another initiation on her journey. Aunty Mahi did a ceremony over tattoo when clients would come into our clinic. Prayers for cleansing and healing. Prayers for empowerment over the area. She used frankincense oil. It’s sacred oil, for clearing and cleaning. I continue this practice today with my clients and so can you. Thoughts. Words. Pictures. Tattoo. Our way of identifying, carrying our family histories. Take the opportunity to clear, cleanse and shed some positivity. Put some energy and mana towards healing our experiences and those of our ancestors as well. Be intentional. The stories you place on your body are being put out into the world. Tattoos can be a reminder of where we’ve been and how far we’ve come. If you have stories to share or questions about ancient ink, we’d love to hear from you.